The kind of pastors we have this days is demeaning. What kind of deliverance is this? And to make matters worst, people actually believe in this stupid pastors. Now I understand why Daddy Freeze keep saying people always leave their brains in the house before going to church. 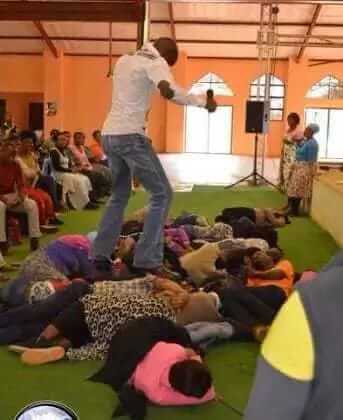 This controversial pastors has gone unchecked for long and something needs to be done about this things. Thank God president Obasanjo barred the airing of "Miracle videos" on television in Nigerian during his regime. It was too much mockery. I think South Africa should follow suit because this days, a lot of controversial pastors are deceiving people and getting a way with it. 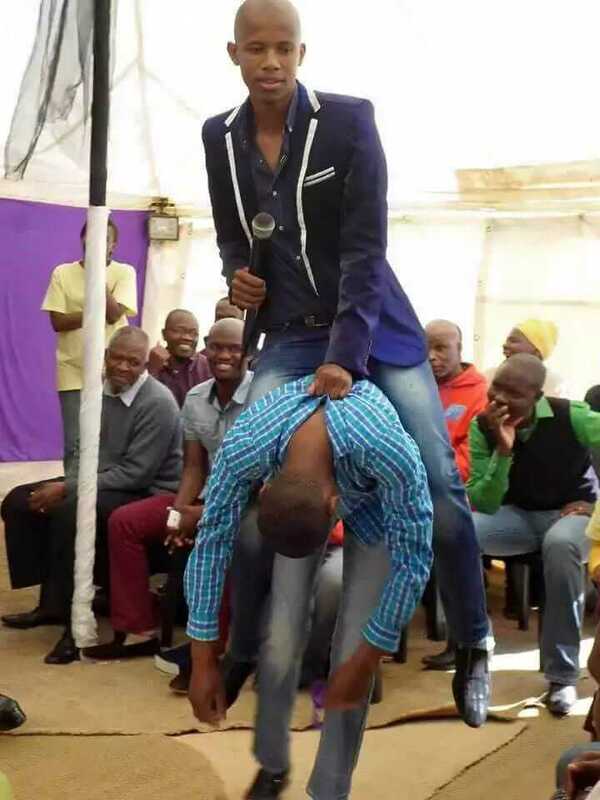 Is only in Africa, especially South Africa you see pastors doing weird things to their congregation and yet the sheeples believe in him. 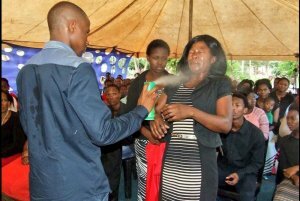 You see some pastors who spray their congregation with insecticide. See footage of pastor delivering an over-weight woman from obesity and other pathetic pictures of weird things pastors has done to their congregation..